How to Use VLOOKUP in Microsoft Excel? Theoretical introduction, practical examples (free download). 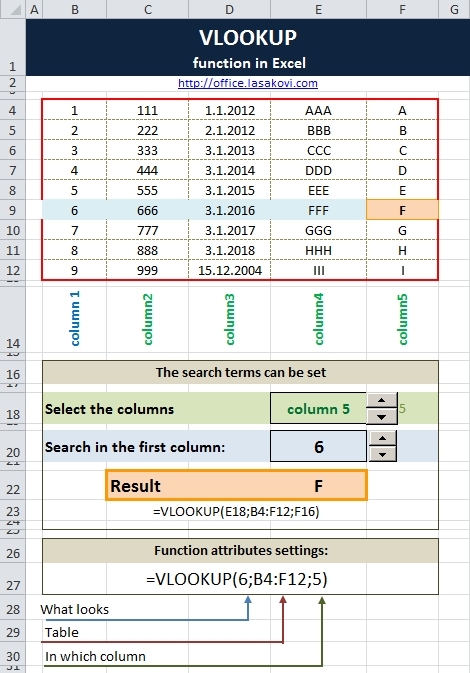 VLOOKUP (Czech name: SVYHLEDAT) searches in the first column of the table required/search value and returns a value that is in the same line (as the search value), but it is in another column (from the source table). For EN Excel is separator - comma, for CZ Excel is a semicolon separator! search - value (number, Boolean, link), looking in the first column of the table. table - Two or more columns of data. Use a reference to a range or a range name. type optional - logical values (0 - FALSE, 1 - TRUE). TRUE - (Not available / empty) - exact match or the highest value that is smaller than search. FALSE - returns value when it finds an exact match. Value in the first column of table scans must be ordered ascending , otherwise VLOOKUP returns incorrect values! If there is in the first column of the table more of the same values? ?, VLOOKUP returns a value not exceeding the found. 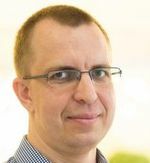 More examples in the Czech version of the article VLOOKUP - SVYHLEDAT - prakticky.